Cash for Cars in New Hampshire - We Buy Cars Fast! A car's value will depreciate over time. You will waste significant time answering calls and texts from strangers. They will show up to haggle down your fair asking price. CarBrain is here with a new and smart way to turn that unwanted or less-than-perfect car into quick cash in your pocket! 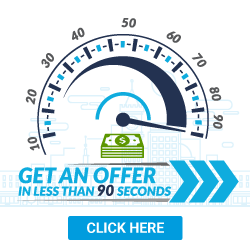 We make offers on most cars in just 90 seconds. We provide free towing when you agree to our offer. Turnaround time is just 24 to 48 hours. CarBrain works with the top-tier towing providers of New Hampshire. We can tow your car in most parts of New Hampshire including areas near Manchester, Nashua, Concord, and other cities near you in just 24 to 48 hours. We’ll pick up your car in most tow truck-accessible areas like a personal home, the repair shop, the car dealer, or even tow yards. If you're done wasting your time with tire kickers, then look no further. New Hampshire, sell your car the smart way today. Just click here. Where Can I Sell My Car in New Hampshire? Live free, New Hampshire! That's right, it's time to break free from the local buyers in the business today. They all have different sales schemes but have one common goal: to make sure they get the better end of any deal. Here at CarBrain, we know all the tricks the competition plays and that's why we’ve created a car-selling experience that's catered to you. The moment you post your car on any local classified, your phone will get swamped with calls and texts from strangers. These private buyers will do nothing but waste your time going back forth, trying to haggle your price down to an unacceptable offer. CarBrain will not play any negotiation games with you. Our system will give you an offer on most cars in 90 seconds. If you agree to our offer, it won't change when we show up to pick up the car. 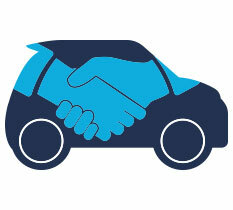 If you've tried selling your car to a local dealer, then most likely they tried to get you into a trade-in car deal. These deals can go south very quick, so be careful. They will give you the offer you want or beat whatever offer you may already have. These dealers are known to manipulate the numbers of a deal so all the extra money you thought you were getting for your trade is just being stacked on somewhere else as a hidden or dealer fee. Here at CarBrain we’re not trying to sell you into another car to meet a sales quota. We’ll buy your vehicle outright and for a fair market value. Have you seen those “Cash for Cars” or “cash for clunkers” signs near you? These are your local junk and scrap yards. These facilities are in the salvage market so they may not be the option for you - that is, unless you want to give your car away practically for free. They won't value your car for what it has, but CarBrain will! All our offers are unique! It’s plain and simple. CarBrain is the smart way to sell your car. Most cars will get an offer in 90 seconds! Click here to get yours. What Do I Need to Sell My Car in New Hampshire? Are you ready to sell your car? When you’re selling a car, there are a few things that you need to confirm to get the best offer and to not miss out on a great deal. Every state has unique requirements to transfer ownership and there are a few things that buyers will look at before they finalize anything. Keep the vehicle intact. Having a complete car fully will help you get the best offer. Even if your parts are damaged, do not remove them. A car buyer always wants to see a complete vehicle. For example, never remove the wheels, battery, or a light assembly. Have the key to your car. Always make sure to have at least one key with your vehicle, whether it starts or not. Some keys cost hundreds of dollars to replace and the buyer can't verify if the car starts. It will have a negative effect on your offer. State-required paperwork. When a buyer makes an offer, you want to be ready and accept. Missing documents could cause a delay in the process and the offer could change if delayed long enough. In the state of New Hampshire, you need to have a title in your name and valid ID. Why spend hours on the phone contacting shops or searching for repairs? Either way, most shops will only give you an estimate if the car is present, which can cost hundreds of dollars in towing and precious time out of your day. Also, you will never truly know the final repair cost of a vehicle until they have already started the repairs. You run the risk of spending more than what the car is worth. How Can I Sell My Car Fast in New Hampshire? CarBrain has a state-of-the-art evaluation system with offers on most cars made within just 90 seconds. In addition, we can pay you when we pick up and tow your car, in just 24 to 48 hours! See for yourself - just click here and get started today! Selling your car could take a long time. You don't want to meet with strangers either - especially not to just go back and forth with haggling games. CarBrain is here to save you time and help you sell that car. We’ll get you quick and easy cash for your damaged or junk car. 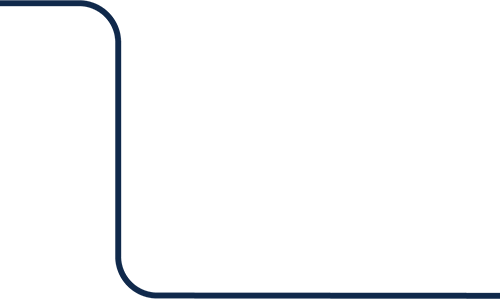 Our process is fast and simple with most cars receiving online offers in just 90 seconds. It’s time to sell your car the smart way! Just click here to get started. We provide free towing to any of our New Hampshire locations.